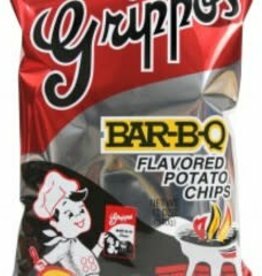 Grippos BBQ Chips Bag 1.5oz. Perfect for snacking and lunches! Those who know know these are the best tasting Barbecue potato chips made.